The default for current Gnome is to maximize the window when one double clicks the titlebar which to me seems redundant as there is a maximize button. Why have two actions do the same thing? 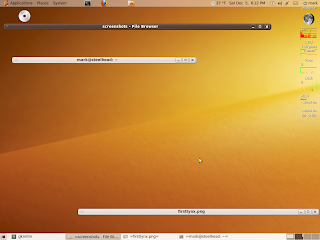 Well with current Gnome in Ubuntu Karmic the behavior of double clicking the title bar of a window is easy to change. Just go to System > Preferences > Windows and click the drop down menu under Titlebar Action. 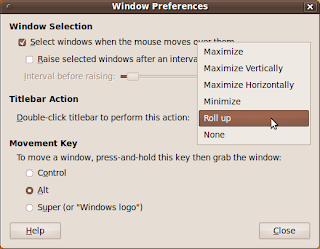 Select Roll up and close the dialog window. Now when you double click the title bar the window will roll up. If you are using Compiz you can have some cool animations when the window rolls up.